It’s time to start thinking outside the box regarding Durango’s transportation needs. 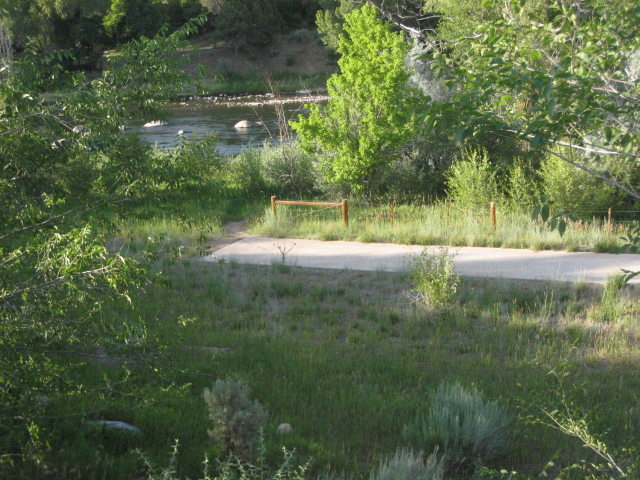 We may soon have an opportunity to help the City extend its Animas River Trail into Grandview. The Federal Government has made $600 million in new funds available under the TIGER II (Transportation Investment Generating Economic Recovery) Discretionary Grant Program, and $140 million of the available funding is set aside for rural areas. Eligible projects include highway and bridge projects, public transportation projects, passenger and freight rail projects, and port infrastructure projects “that will have a significant impact on the nation, a metropolitan area, or a region”. Several local advocacy groups in collaboration with the City of Durango, La Plata County and CDOT Region 5 are putting together a grant application to connect the Animas River Trail in Durango to the Three Springs portion of the City of Durango by way of the SMART 160 Trail connection. “SMART 160” acronym stands for Safe, Multi-Modal, Aesthetic, Regional Transportation and 160 refers to the alignment of the trail along US Highway 160. The particular section that would be completed if this funding is approved would begin at the current end of the Animas River Trail at River Road (by Home Depot), follow the south side of US 160 and cross the highway with an overpass west of the Farmington Hill intersection, and then continue on the north side of US 160 all the way to the trails at Three Springs. This trail connection will require cooperation on many levels. To provide a bit of background, ten years ago, Trails 2000 members and volunteers, along with the City of Durango, La Plata County, CDOT and 9R formed a working group to help find a separated bike/ped route to connect Durango to Bayfield. Since that time, Trails 2000 has continued to organize a working group to advocate for this connectivity and study alignments along the US 160 corridor. Goff Engineering has assisted this working group and produced the maps and alignments that have been used in presentations and grant applications. The current grant application for TIGER II funding will be submitted by the City of Durango, along with a contribution of $200,000. La Plata County has provided a $100,000 match. CDOT and the County are providing technical assistance. This project would compete very favorably in three of the primary TIGER II selection criteria, including livability, environmental sustainability, and safety. We as community members have a chance to help make this connection a reality by providing support in several ways. In 2007, a smaller grant was applied for under a different program and our application was the number one ranked application in the state of Colorado. Unfortunately, the majority of the funding was awarded to projects in New York State. This time, a portion of the funding is directed to target rural areas such as ours. The plan for this grant application is to complete a ten-foot-wide, concrete trail and overpass all the way to Three Springs and provide a safe commuting alternative for folks (cyclists and pedestrians) who are not comfortable using highway shoulders along US 160. The cost will be approximately $10 million. The grant application approval process is enhanced by private donations from the community and by letters of support for the project. If you have the capability to provide a donation of any size, please send me an e-mail with your name, contact information and the amount you can donate to: wade.moore@saferoadscoalition.org. If you can write a letter of support, please address it to Transportation Secretary Ray La Hood (see below) and then send it to me for collection to be forwarded in the grant application. Letters should focus on the clear need for a separated trail to provide connectivity between the City of Durango and the Three Springs area and how this will contribute to: livability (affordable and convenient transportation choices, enhancing economic competitiveness through reliable and timely access to employment centers, and connectivity for different modes of travel); environmental sustainability (reducing dependence on foreign oil and/or reducing greenhouse gas emissions, maintaining, protecting, or enhancing the environment by avoiding adverse environmental impacts, and improved air quality) and safety (reduction in the number and consequences of crashes, injuries, and fatalities). In particular, your personal changes in these areas should be mentioned (such as willingness to ride a bike or walk where you currently drive). We would appreciate individual and business commitments for donations and letters, which can be included in the Grant application. Funds from donations will only be required if the Grant is approved. Commitments and letters are needed by July 26th to be included in the Grant Application. Thank you for your commitment to this project and your community and we look forward to your help.